In the middle of May every year, Buffalo Grove Illinois celebrates National Dog Bite Prevention Week as a way to inform the public that any dog has the potential to bite. In fact, more than 4.5 million individuals are bitten by dogs annually, where one in five bite victims require immediate medical attention at an emergency room. 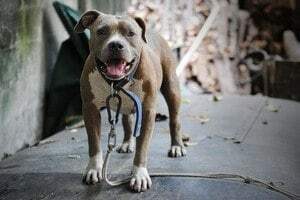 Dog bites and attacks causing injury to an individual or other domestic animal often causes serious injuries and death. In addition to the physical injuries sustained in a dog attack, many individuals suffer traumatic experiences and are emotionally harmed with a long-lasting fear of being around even the gentlest breed of dog. In an effort to maintain public safety, Cook County and Buffalo Grove have enacted numerous animal ordinances to regulate dog behavior, ownership and sheltering. In many incidences, a dog will not bite the victim but instead knock down and attack any individual seen as a potential threat. If you, or loved one, have suffered a serious dog bite or attack, it is essential to seek immediate medical care. This is because you are likely suffering from various injuries including head trauma, facial puncture wounds, lacerations, broken bones and fractures. The dog bite attorneys at Rosenfeld Injury Lawyers LLC remind you that it is essential to report every dog bite or attack to allow an official investigation to begin. Reporting the incident immediately after it happens helps establish the identification of the dog and its owner. Additionally, dog bite and attack cases are difficult to litigate on your own. Because of that, many victims choose to hire a personal injury is attorney to file a claim or lawsuit. Rosenfeld Injury Lawyers LLC can evaluate your case for free. We have extensive resources to provide you various legal options to ensure you are made whole again. Call our law offices at (888) 424-5757 today for a free case assessment. We will only charge you a legal fee after we negotiate your financial compensation settlement or obtain a jury trial monetary award.